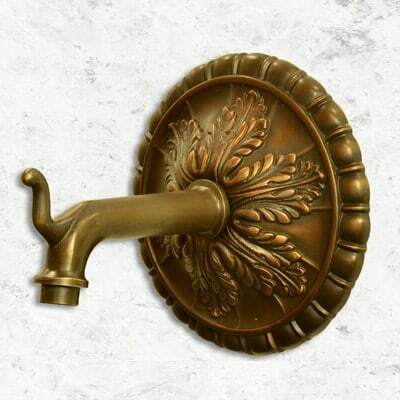 With a classic Greco-Roman style, the Centurion Spout mixes simple functionality with elegance. Made from 100% brass and bronze, the combination of a streamlined water spout and the wildly popular Acanthus backplate results in an eye-catching focal point. The elegant and artful backplate design highlights the character of the spout without overpowering it, making ideal for any architectural and/or outdoor living, pool, spa, and fountain design. The Centurion Spout is available in all metal finishes, but looks especially stunning in antique brass, pewter or natural (polished) brass. The price includes Dura coating.